2-DAYS VIP Tickets for A9 Live in Singapore Sold Out within Three Minutes! 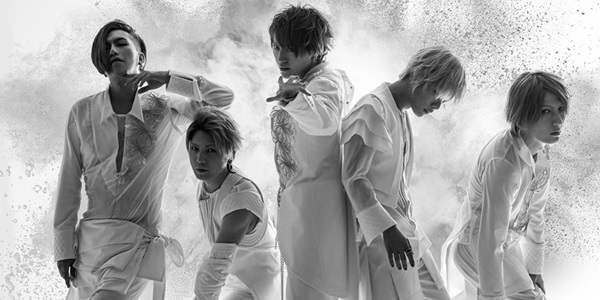 Previously, we have reported that A9 (formerly known as Alice Nine) will be coming back to Singapore this year and early bird sales began on midnight of 15th August, the 2-DAYS VIP category tickets were sold out within three minutes it went on sale! Additional tickets will be added to normal sales from 1st September. Original band merchandise collection “MIDNIGHT GALAXY” will also be available at the show. 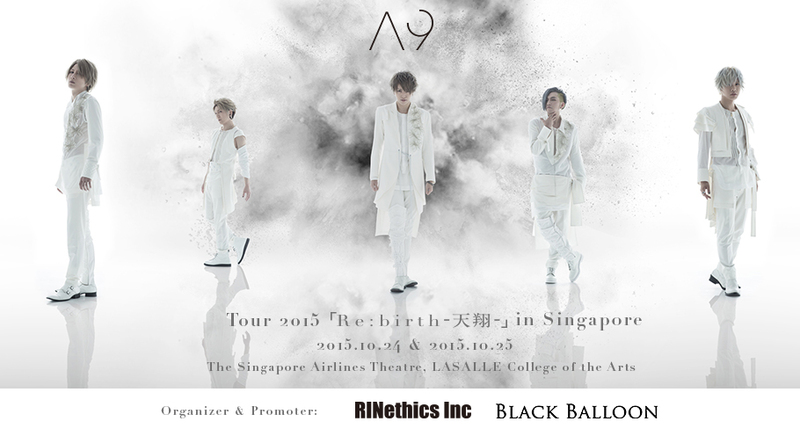 The concert titled “A9 Tour 2015 Re:birth -Tensyou- Live in Singapore” will be held on 24th and 25th October in The Singapore Airlines Theatre, LASALLE College of the Arts, as part of the band’s Asia tour this year. Fans who have purchased 2-DAYS VIP tickets get to receive an autographed copy of their latest album titled “Ginga no woto” (Sounds of Galaxy) , two autographed posters of different designs and attend a handshake session after each show. Furthermore, they get the priority to enter the venue and watch from seats closer to the stage. Due to overwhelming requests for 2-DAYS VIP tickets after it has been sold out, the organizer has decided to increase limited quantity of the tickets. Additional 2-DAYS VIP tickets will be available from 1 September 2015 via Peatix. Around 80% of the VIP tickets for the first day of the show allocated for presales has been sold thus fans are advised to grab their tickets fast before they’re gone! Fans coming to the concert get to watch the band up-close, performing songs from their latest album and past hits which the fans are most familiar with. Knowing that it is almost impossible for fans to purchase A9 concert merchandises in Singapore, the band will be bringing their latest merchandise collection named “MIDNIGHT GALAXY” from Japan to the show in Singapore. The collection is designed by the band themselves and includes member guitar pick sets, tote bag, T-shirt, trendy accessories such as bracelet, ring and tattoo stickers and more. A survey is currently conducted to find out more about the fans’ interests and items on popular demand will be included in the merchandise list. The promoter will also let fans vote for one of the poster designs which will be autographed and given to 2-DAYS VIP and VIP ticket holders. Further details can be found on promoter’s homepage and Facebook. Organizer & Promoter: RINethics Inc. , BLACK BALLOON.